Cox Plate dreams for high class four-year-old Palentino were given a boost today when he stormed home to win the Group One Makybe Diva Stakes (1600m) at Flemington. Sent out at a healthy single figure price behind warm favourite Black Heart Bart, Palentino was able to come home under a lovely Mark Zahra ride to notch a second win at racing’s elite level. The good looking chestnut hasn’t always had the best of luck during his classy career, but was able to win the Group One Australian Guineas at the same track and trip in March. Palentino went into today’s Melbourne feature in good shape after fourth and fifth placings over 1200 and 1400 metres in the Regal Roller Stakes and Memsie Stakes respectively. 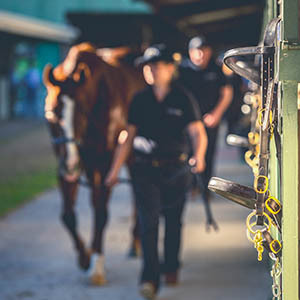 And his huge bunch of connections, who now share in the success with Sun Stud who purchased into the entire after his last preparation, are daring to dream of Australia’s weight-for-age championship, the WS Cox Plate. When the finish line was reached today Palentino ($9) held a widening length margin over stablemate Black Heart Bart ($2.05 fav), while former West Aussie He or She ($13) was another two lengths back leading home the beaten brigade. 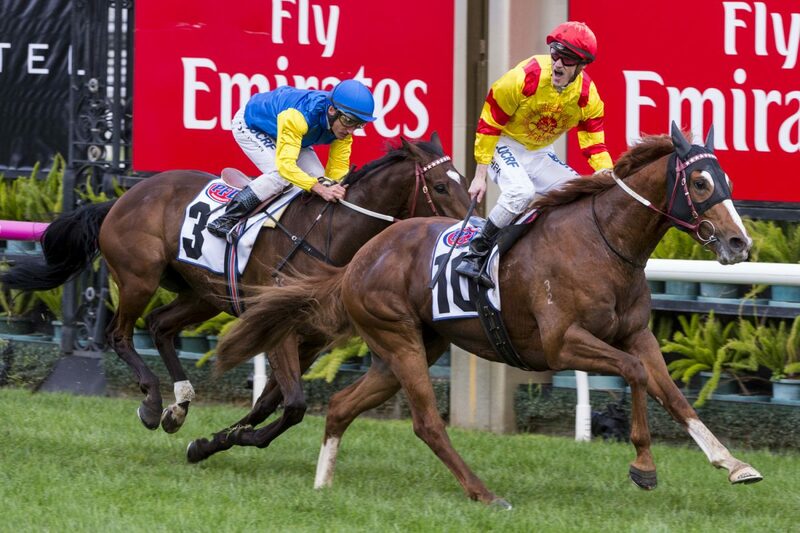 The win was significant for Sun Stud, a new major international player in the Australian thoroughbred industry. Based at the former Eliza Park property in Victoria, Palentino will head there to stud when his racing days are over. “They’ve put a massive investment into the horse, Sun Stud, and I can’t thank them enough for leading him with me,” Weir noted. And now he’s won another Group One the handsome chestnut will be out to take on the best gallopers in the land, including Winx. “This was his main aim for the preparation and we thought if he could measure up here we would look at the Cox Plate,” Weir added. 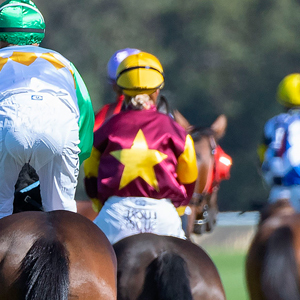 While the win was celebrated by Sun Stud and a large group of mostly Victorian owners, the cheers were also heard loudly across the Bass Strait. Palentino was bred by Geoff and Jenny Watson’s Macleay Thoroughbred Stud, outside Launceston, and he was also a good looker. 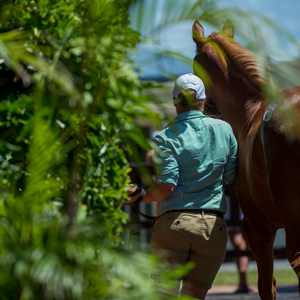 Prepared by the Watson and sent to the 2014 Magic Millions Tasmanian Yearling Sale the son of Teofilo was a sales standout. 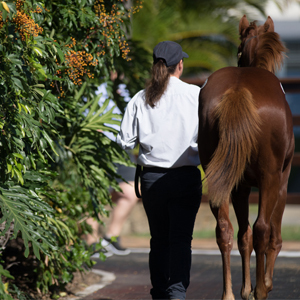 The flashy youngster caught the eye of many prospective buyers and in the end it was Darren Weir’s sale topping bid of $85,000 that secured the future star. With four wins, three at stakes level including two Group Ones, and three runner-up placings from just 10 lifetime starts, Palentino has already earned over $971,000. The outstanding four-year-old is one of five winners produced by Palace Music mare Palatine Hill, a Moonee Valley winner of four races before heading to stud. Palatine Hill, who won races from 1500 to 2050 metres, is a half sister to the classy stakes winners Sublimity and Rather Grand. It was a great day at Flemington for graduates of the Tasmanian Yearling Sale with 2011 graduate Royal Rapture winning his fourth straight race, again for the Weir yard. A $16,000 purchase from Brooklyn Park, Royal Rapture has now won almost $500,000 with 14 wins and 15 placings from 44 runs. Meanwhile, exciting three-year-old Detective will be given his chance to head to the Caulfield Guineas after a strong win in today’s listed Exford Plate (1400m) at Flemington. Prepared by Peter and Paul Snowden and carrying the Capitalist colours, Detective was too strong, make it back to back wins for his delighted syndicate of owners. 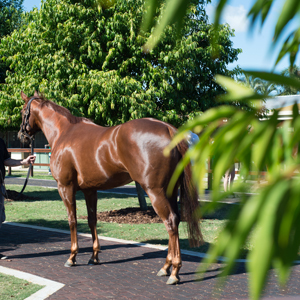 A son of Snitzel, Detective was purchased by James Harron Bloodstock from the draft of Arrowfield Stud for $220,000 at the 2015 Gold Coast Yearling Sale. Out of the Group One winning Metal Storm mare Covertly, Detective will now head to the Caulfield Guineas Prelude as lead up the stallion making Guineas feature next month.